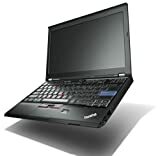 Lenovo’s ThinkPad laptops are the mainstay of its mobile business, and the X220 is one of the most portable. 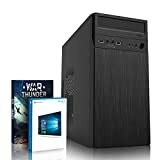 Despite weighing a miniscule 1.3kg, it packs in a powerful processor and plenty of useful connections. The X220 is powered by an Intel Core i5-2520M processor running at 2.5GHz, so has plenty of power in reserve. Paired with 4GB of RAM, it had no problems running our multimedia benchmarks with an overall score of 60.